Is a happy whirlwind of house renovation (kitchen in progress right now, yes, right now), school application, 4 year old life and forever trying to embrace a more simple, slow life. I think we are there 50% of the time! Oh and today is a good day as it's Sushi Monday. 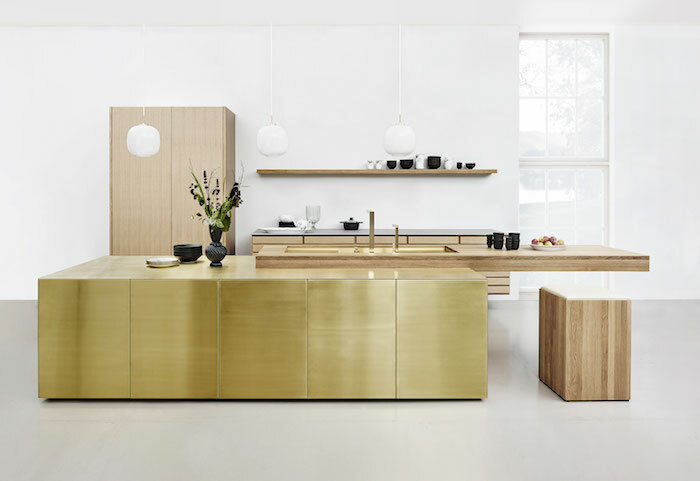 The above kitchen is a beautiful mixture of oak, brass, white and black. Whilst we're not pursuing such a full on brass concept (Almost went for brass doors), the fundamental colours / materials are pretty much the same - with the addition of some large veiny marble. Seriously. Cannot. Wait.